Verizon’s Asus ZenPad Z10 is now receiving a new software update version 5.4.4 with Android 7.0 Nougat . In addition, the update also includes Android August security patch fixes Common Vulnerabilities and Exposures (CVE) in the open-source Android OS. The tablet was launched at the end of last year with Android 6.0 Marshmallow. Multitasking has never been easier; you can split the screen to view 2 apps at the same time with Multi-window mode. 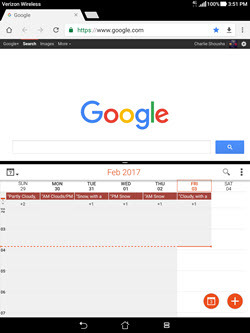 The image below shows the browser open in the top window and the Calendar app in the bottom. Tap the Overview (Recent Apps) button. Press and hold the app you want to use and drag it to the top of your screen. 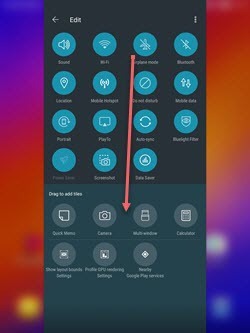 Press and hold the Overview (Recent Apps) button. Your current app will move to the top half of the screen. 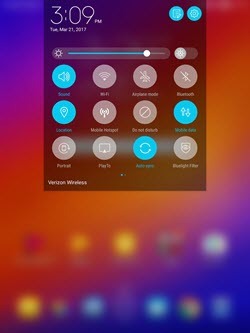 In the bottom window tap the app you want to use. Only apps compatible with multi-window mode will be available. Double tap Overview (Recent Apps) to switch between the current app on your screen and your most recently used app. Double tap Overview again to go back to your original app. 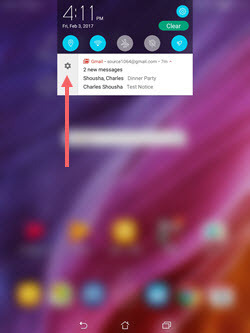 Now you can easily change an app’s notification settings right from the notification panel. Tap and hold a notification. The notification settings for that specific app will appear. Slide the notification a little bit left or right, and tap the gear icon. The notification settings for that specific app will appear. 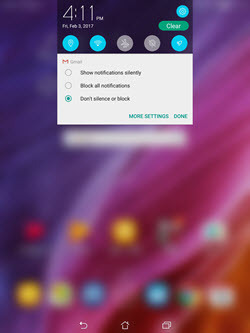 Android now supports multiple pages of quick settings in the notification panel. You can add, remove, and re-order them however you like. 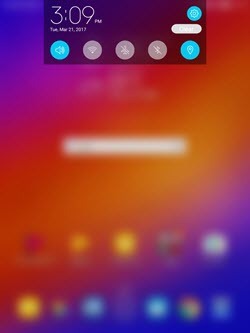 Drag down your notification panel from the top of your screen to see 5 quick settings. From here you can swipe left to view additional quick settings. To see more than 5 quick settings, drag down the notification panel a second time. Tap Edit above the quick settings. Press and hold a quick setting icon and drag it to the desired location. The icon below is being placed in the 3rd position next to Wi-Fi. To remove it from quick settings, drag the icon down to the lighter gray box at the bottom of the edit screen. 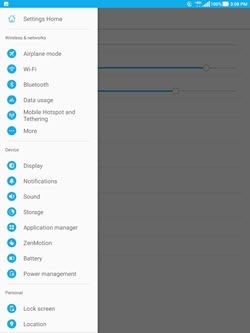 If you want more quick settings than will fit on the first page, swipe left on the quick settings for additional options. There’s a new side panel for quick access to Settings, so you don’t need to hit the back key repeatedly. Just swipe left to right, anywhere in Settings. Data Saver can help you manage your data usage by restricting background apps from using data. You’ve successfully turned on Data Saver. 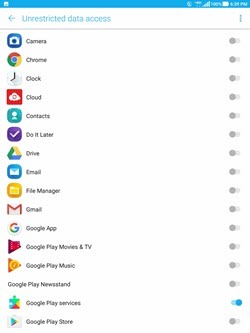 Even when Data saver is on, you can permit apps to use background data by tapping Unrestricted data access, and the specific app. Doze mode has been enhanced to optimize your battery anytime your screen is off, even when you’re moving. Previously Doze mode was limited to times when your tablet was stationary. 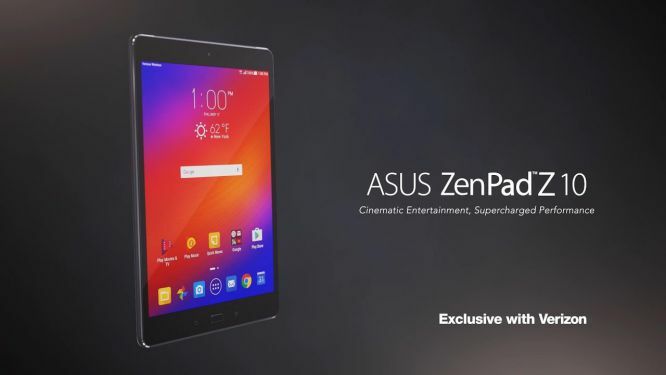 Software update 5.4.4 for its Asus ZenPad Z10 will gradually release to everyone. You can also check manually for updates, go to Settings > About device > System update.